A green dream! 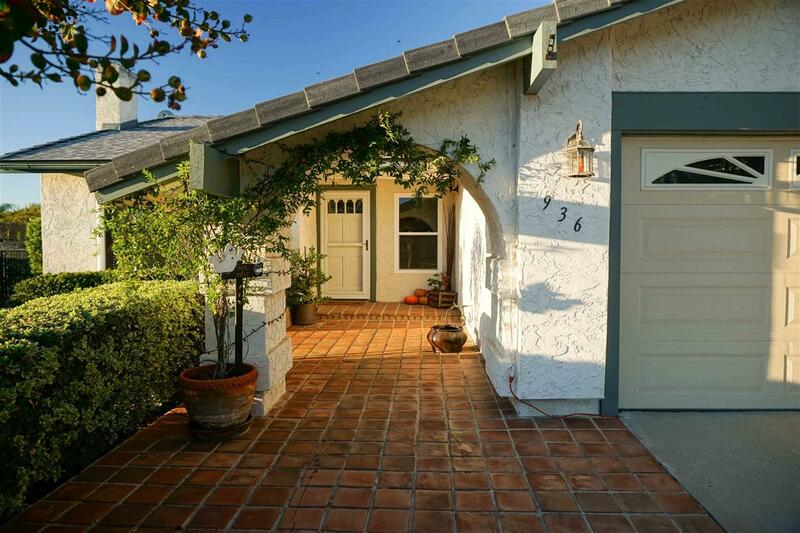 Tasteful updates make this Fallbrook cutie an energy-efficient beauty! New Energy Star Cool Roof, new 5.39kW Solar Power System (offsets roughly $200/mo avg from SDG&E bill), whole-house high speed internet wiring, new low-maintenance alumawood pergola w/patio lighting, whole house water filtration system + reverse osmosis! Gorgeous kitchen has silestone w/ stainless appliances (Bosch dishwasher), recessed lighting & beautiful engineered wood floors. Immaculate and bright! Value-packed!, Also...Built-in cabinets in garage, Kitchen cabinets and kitchen floor recently refinished/resurfaced, Water-wise landscaping/drip irrigation, Lemon, Orange, Cocktail Grapefruit, and Satsuma fruit trees; Recently replaced extra capacity water heater; Whole house hot water circulator (provides instant hot water). This house is packed with value and is priced to sell! Room measurements are approximate... buyer to verify all.